Travel is not just a visually appealing activity but also an intellectually stimulating one. While looking at exquisite places around the world is definitely easy on the eye, the mind gets exercised and feels refreshed exploring a new place. I love to travel and have always loved it since the time I can remember. Thankfully, the husband is now on-board on this passion to travel and we have had some really good times when we travel. In our almost 4 years of marriage, among our bigger trips, we have gone once to Bali and thrice to different parts of Europe. We have always liked the DIY aspect of our holidays and would rather research intensively and make our own plans rather than take a cookie-cutter holiday package. 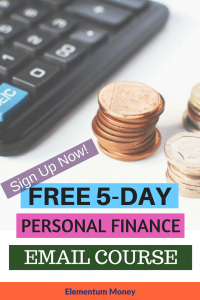 Coming from a country where the currency is not really strong globally (Indian Rupee), makes the financial aspects of these holidays quite challenging. It has also ensured, we always travel on a shoestring (or a half) budget. While Bali did not really make us think that much or make us think about money constantly, in every Europe trip the money calculation is constantly there to ensure we make the most efficient use of it. 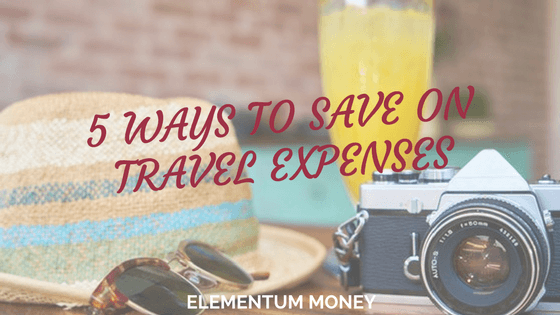 When we budget for a holiday (a later post on how to do it), we assign a daily spending budget. This budget is apart from the hotel or the public transport or the major attraction expenses. On our first Europe trip, by the end of it, we faced two problems – freezing weather in February and a limited amount of money left. Learning from that, we now record each and every expense that we make. This gives us an idea of whatever margin of expenses we are left with or if we need to control any aspect of the spending. I like to keep this in a small pocket notebook that I carry as I don’t want to mess up the record on the spending tracker which is in the Indian currency. You can choose either of the 3 ways mentioned earlier to track spends. We plan for a holiday months in advance, at least 4-5 and as soon as we zero in on a destination (or at least the starting point) we put in an alert on a super-aggregator website (like Skyscanner). By tracking fares for a month or 2, we are generally able to get a good airline, fare and from a trusted website as well. While Europe is well-known for their hostel accommodation that makes it convenient for travelers to stay cheap, as a couple we just could not reconcile ourselves to the idea of a shared washroom. We decided we do not need a fancy room, but anything with a private washroom works. The first European hotel I stayed in was an Easy Hotel in London at Earls Court. It was the most efficient use of space I have seen and it took me some time to process the fact that they could fit in a double bed and a bathroom in that small a place. We have often stayed in private rooms at hostels, which has worked out wonderfully for us. Whenever we zero in on a place, we also go to one of the hotel booking websites that allows us to “Book now pay later” with zero cancellation. We book our hotels as per our decided itinerary and keep them. In case of any change of plans, this helps as there is no lengthy cancellation process where you need to wait for the refund, which could also have suffered thanks to the foreign exchange transaction. About a week or so before the actual trip, we have often chosen better hotels and made full payment. This method has come in very handy for us at the time of our honeymoon planning. We had completely planned a trip to Thailand and booked the hotels accordingly. However, there was a revolt and while it was reported that tourists are welcome, it didn’t seem like a very viable option for a honeymoon at that point. We changed our destination to Bali and the process to change accommodation was just to cancel our booking. Me and the husband are big-time foodies and one of the things we have always loved about traveling is the exploration of new cuisines. We have done that on all our trips, preferring local food for most of our meals. However, our exploration of the local cuisine does not happen in expensive, fancy restaurants. We are big believers of street food and always go well-researched into the trip. We have often eaten at street food markets or the mouth-watering pop-ups that come up in farmer markets. One of our most delicious experiences in this regard happened thanks to our coincidental presence at the Apfelwein festival in Frankfurt in August 2016. 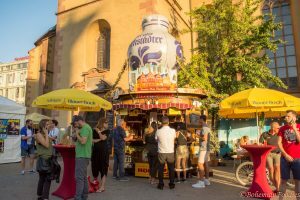 Apfelwein or apple wine is the drink of choice in Frankfurt, and it is celebrated with a week-long festival near their main railway station – Hauptbahnhof. You can read more about it here. We have also often eaten at food courts. Being in a different country means that even the food court will lead to new food experiences. Eating under the Louvre glass pyramid was one memorable experience for me. For breakfast, we generally go even cheaper and healthier by starting our day with fruits. Being a temperate zone, the fruits (especially berries) are something not to be missed on a Europe trip. When we don’t feel like eating that healthy an option for breakfast, we pick up a small confectionary from one of the umpteen small counters you can see everywhere. The croissants that we often gave in to, in Paris, from a small bakery (or boulangerie) right across our hotel still makes me salivate. On our first trip when we were still getting into the groove of understanding Europe and travel in the great continent better, we ended up taking quite a few cabs. This was true especially in the case of rushing to catch a bus or a train or trying to find our way to the hotel. However, we know better now and go for public transport with almost no taxi ride in the other 2 trips. As soon as we alight in a new city, we buy their 2/3/4 day city pass, depending on our visit. These city passes are the most convenient thing for a tourist as they are applicable across multiple modes of transport. I had quite a bad knee issue in one of the trips, and with this pass, it was easy for us to travel by the city bus instead of going through long staircases to get to the metro in Paris. For us, the best part about traveling is seeing more of the place and of course, people watching. One of the most expensive aspects of a trip to Europe can be the attractions – expensive in time and money. Not only are the entry tickets to most of the famous attractions quite expensive, the queues are almost forbidding in their length. While I mentioned we are on a shoestring budget economically, our stinginess on the trips extends to time as well. How can we best get an essence of a place without spending too much money or time? The simple answer is – Free Walking Tours. In almost any popular tourist city you will have this option. We have experienced the Sandemans’ New Europe Walking Tour in Brussels, Paris and in Prague. Lasting almost 3 hours with a pit stop in between, there is no better way to get a feel and the most important historical details of a city. Take your first step today. 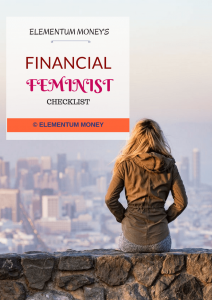 Sign up for the Elementum Money Weekly Newsletter to download the Financial Feminist checklist. 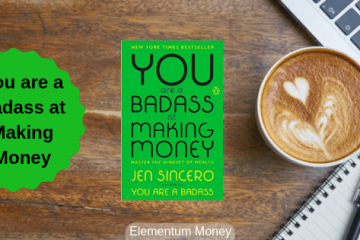 Also,get nuggets of financial wisdom with our 3 posts every week, directly to your inbox. 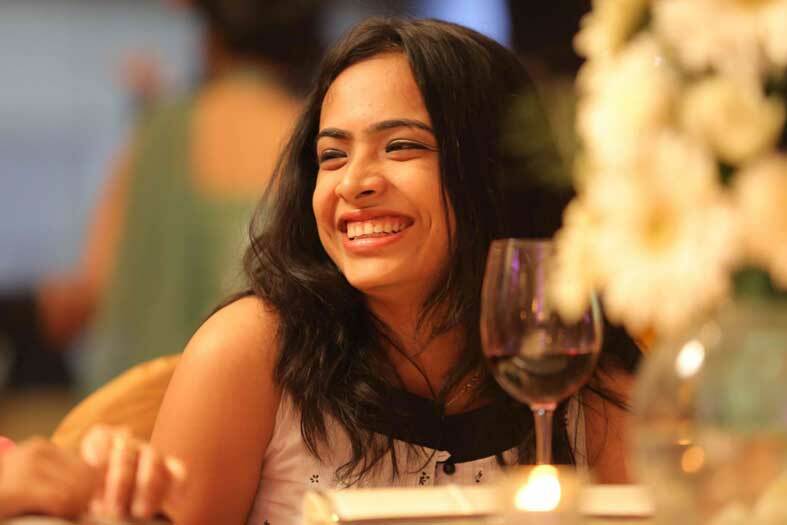 Have more questions, feel free to send any of them my way at aparna@elementummoney.com. Prev Post What does Budget 2018 hold for the Middle Class Salaried?